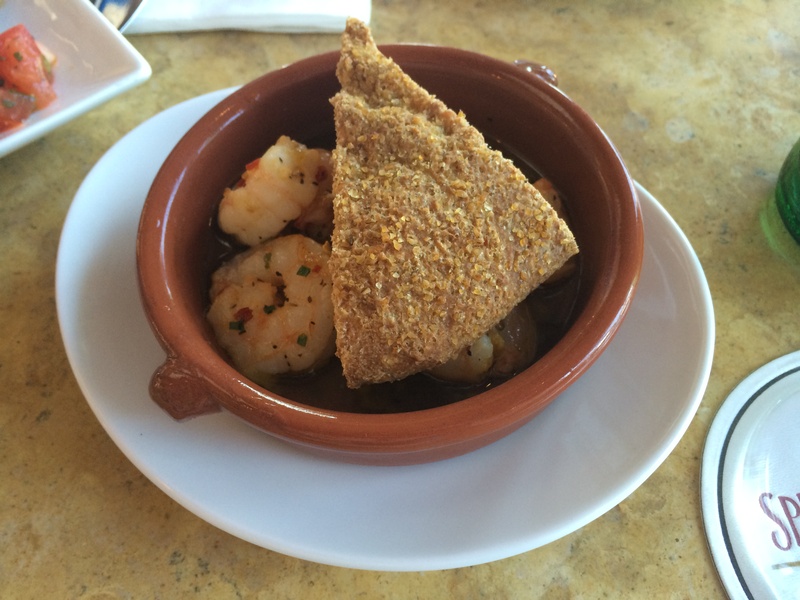 Dining in Epcot is always a challenge for me because there are too many good options! 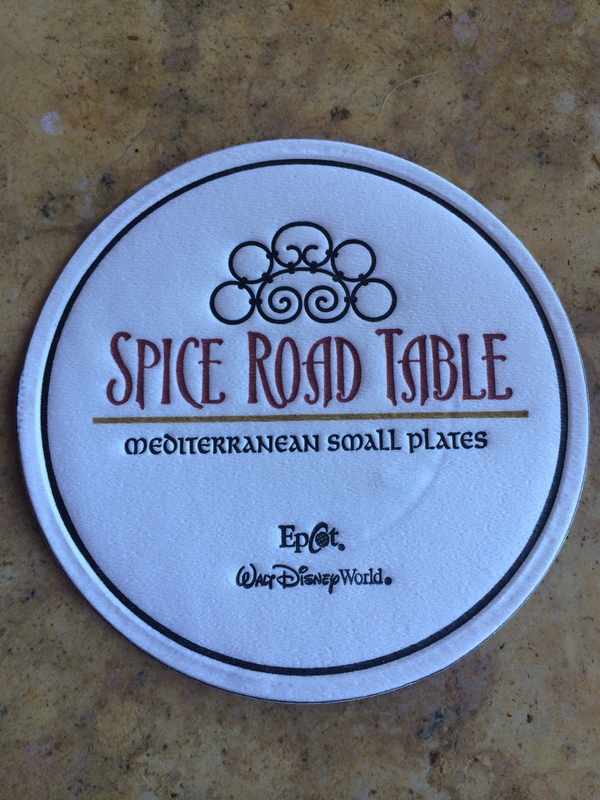 But when I saw the opening of a new restaurant in Morocco, Spice Road Table, I decided I would have to find a way to fit it into my already-cramped dining schedule during my recent trip. The first thing I noticed when we entered the restaurant was how empty it was. Even though the park was fairly crowded, there was no wait and plenty of open tables. It could be because the restaurant is not on the dining plan or because it’s small plates, but either way I was glad we could sit down right away. We sat in the outdoor seating area which had a nice view of the water. Drinks: Our daughter got the Watermelon Delight Fruit Cocktail, which blend of juices. 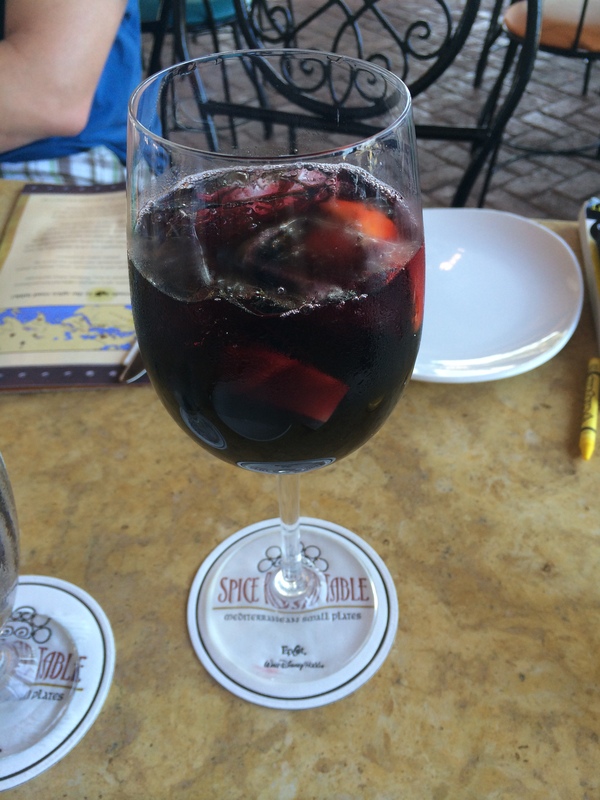 I had the red Spice Road Signature Sangria, which was HUGE. 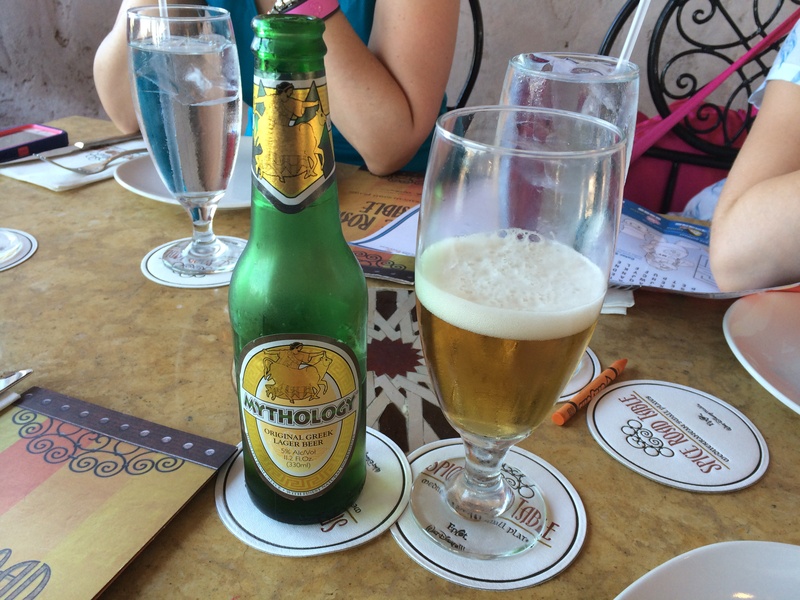 Rob had the Mythology Greek Beer. So far so good on the menu! 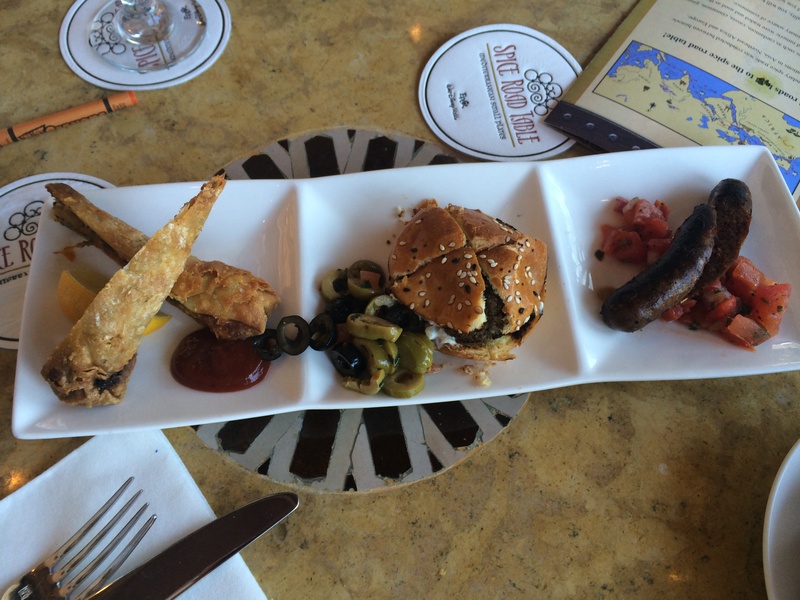 For our snack we got the Tingis sampler, which included a chicken rollup, a lamb slider and a lamb sausage. We also got the spicy garlic shrimp. The shrimp was delicious and I liked all the food on the sampler, although the sausage was much spicier than I had expected. When they say ‘small plates’ they’re not kidding! I was definitely left wanting more – the food was so good I wish it came in entree sizes as well as small plate portions. I am not sure if I would go back to Spice Road Table again – I definitely liked the food, but for the price and the portion size, I might choose the Tangierine Cafe instead to nosh on a giant gyro and tabbouleh. But if you want a refreshing beverage and quick bite with a nice view, there’s probably a table open at Spice Road!